It’s a mix of the old and the new as Emirates NBD has gone live with its “Cheque Chain”, integrating blockchain into issued cheques to strengthen authenticity and minimise potential fraud. Following a pilot last year overseen by Emirates NBD Future Lab, the bank is now rolling out its technology to its customers across the UAE. Some (or most) of you might have thought cheques were long gone, but not so it seems for this bank. 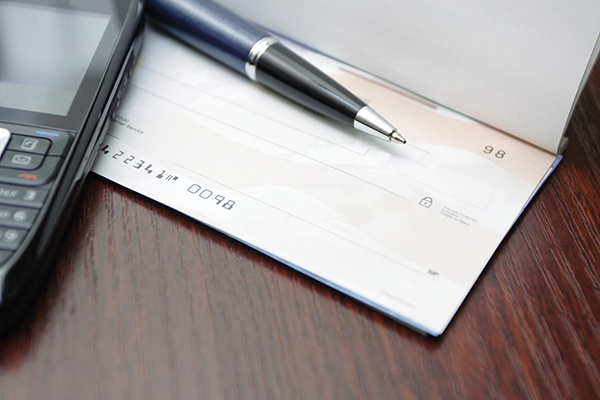 According to Emirates NBD, Cheque Chain enables a unique QR (Quick Response) code to be printed on every leaf of newly issued cheque books. This code registers each cheque on the bank’s blockchain platform, “ensuring that once the cheque is received and cleared under the bank’s ICCS [image cheque clearing system] technology, bank staff can validate the cheque’s authenticity and have access to its source at all times”. Abdulla Qassem, group chief operating officer, Emirates NBD, says it is the “first bank in the region to offer this service”. It might be the only one. We’ll see what happens. Anyway, in its first month, the bank says it registered close to one million cheques using blockchain. In a separate development, Emirates NBD has launched its own private cloud platform. It says it is the “first bank in the region to implement a private cloud platform that leverages similar technologies to cloud-native companies [i.e. Google, Facebook and Amazon]”. This is a “major milestone” in its ongoing AED 1 billion ($272.3 million) IT transformation. Through this cloud technology, the bank says its IT platforms and applications will get cost efficiencies, higher security, resilience, flexibility, insight and quality control. Emirates NBD adds that it plans to move all of its applications onto the private cloud in the short term. No timelines or specifics were provided. Checks are still widely used in some economies including the United Arab Emirates.